Some of our most popular styles are just below. Also our contact form in available for you just below on the right side. Once we receive your inquiry we will reply with request for more information about your project, when you need the pins and if you have an image you would like us to use. We also will be happy to offer comparison pricing. 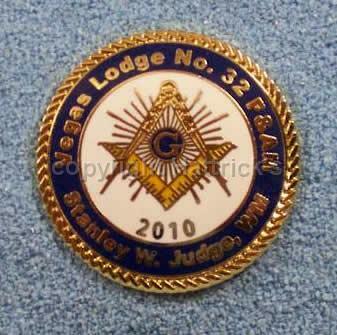 Masonic King Solomons Temple with your text in bright gold set in the blue outer ring. Ask us how your custom pin will look. 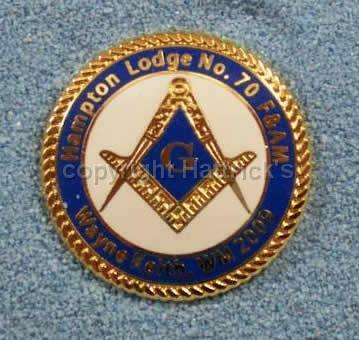 Custom Masonic Fraternity Lapel pins created for you over the last twenty years include pins for the Masons, Shrine and Eastern Star. We provide the free art and free revisions plus the know how, you provide the desire to give a high quality, reasonably priced lapel pin that will be a “WOW, where did you get that?” experience for your friends and family. And your experience with us with be a pleasure, too. I received the package of lapel pins yesterday. THANK YOU VERY MUCH for the outstanding customer service! The quality of the pins were top notch, well exceeding my expectations. The whole ordering process was very easy, prices were very reasonable and overall, a pleasant buying experience. I would highly recommend your business to all of my friends, relatives, and fraternal family! 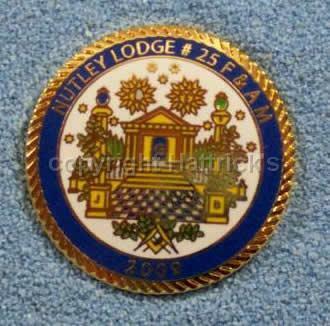 Only a few of the hundreds of designs we can provide for you are shown here. We create the art based on your ideas. 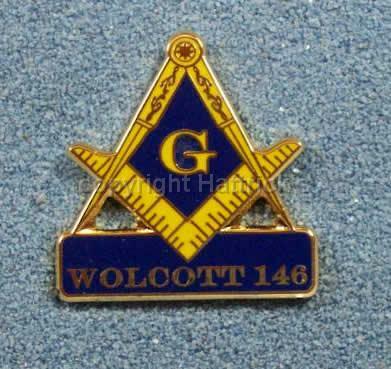 Let us know what you want on YOUR custom designed lapel pin.